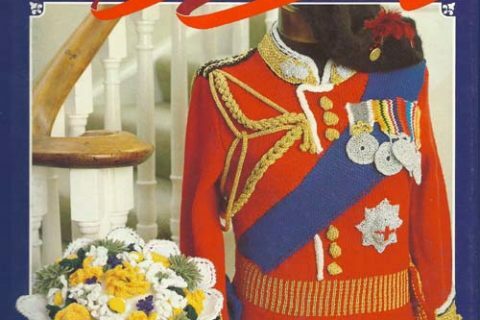 I immediately grabbed this knitting pattern when I saw the Nehru jacket on the cover. In the 60s, the Nehru jacket made its way into US men’s fashions via the Beatles when they played Shea Stadium in 1965. 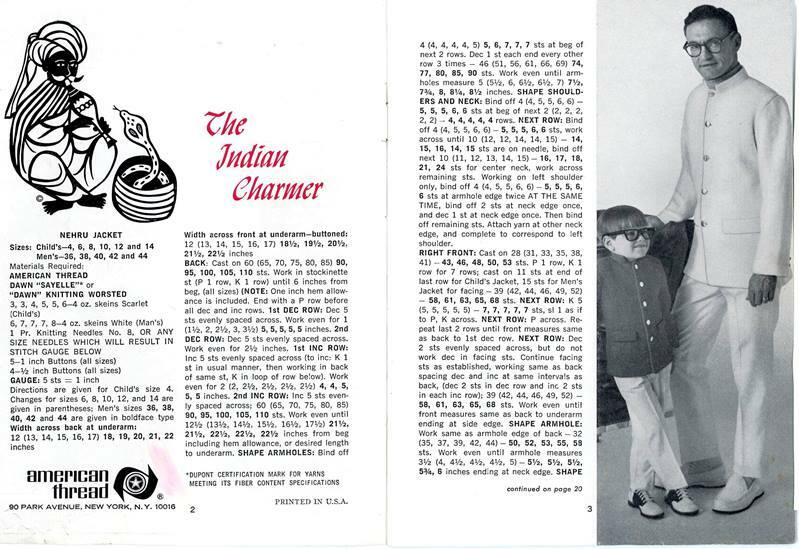 When I was a kid, some relative showed up for a holiday dressed in a Nehru jacket with a nice set of beaded necklaces. My grandfather calling him a “damn hippy.” By the time the 1970s were in full swing, the Nehru jacket was a distant memory and fashionable men were sporting the oh-so-awful leisure suit. I can’t decide which is worse: 80s parachute pants or the leisure suit. Feel free to debate this topic in the comments. 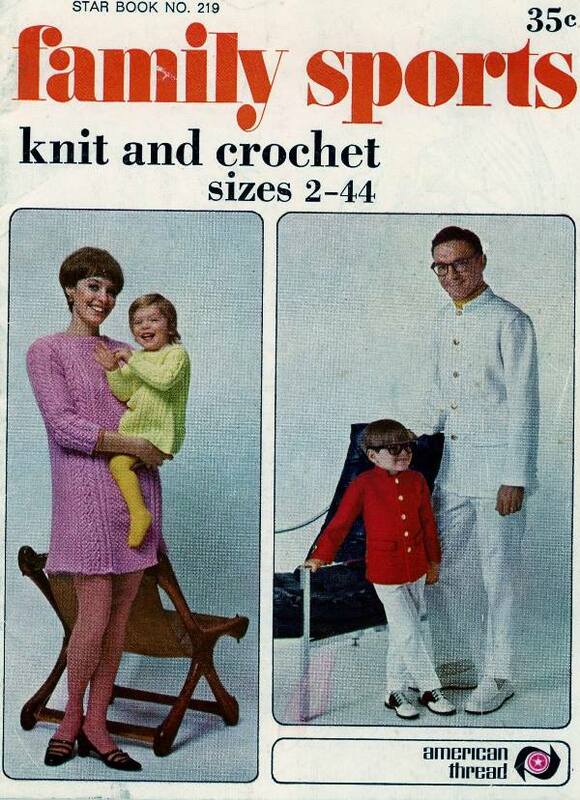 By the way, would someone really want to knit or crochet a Nehru jacket? Next Post:Are you ready for your close-up? I was at the Beatle concert in Shea Stadium. 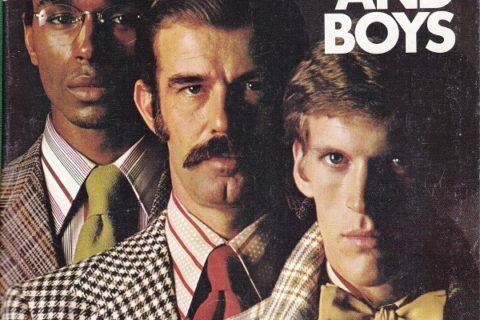 The band did wear jackets with stand-up collars but the jackets also had epaulets. The garments looked more like WWI military tunics than a Nehru jacket. Quasi-military clothing was fashionable then. The true Nehru jacket came along a little later when the Beatles became associated with the Maharishi Mahesh Yogi. To make matters worse, I looked up the recommended yarn (American Thread Company Dawn Sayelle), and it’s 100% acrylic. . .
My Nehru jacket, circa 5th grade, was navy blue, wide wale corduroy. I loved it – it made me feel groovy. But if these are knitted and crocheted, aren’t they Nehru sweaters? if these are knitted and crocheted, aren’t they Nehru sweaters? Mine was a beautiful paisley brocade! Even if Nehru jackets were attractive and currently fashionable, I cannot imagine a knitted Nehru jacket looking good for longer than the 30 seconds it takes to dress the model and take a picture. Knitted garments drape, and large knitted garments (like jackets) drape a LOT. That thing would be hanging on the wearer like wax dripping down a candle. There are ways to add structure to knitting to prevent/limit stretching (like a liner for a jacket, seaming, using non-stretchy yarn like cotton or linen, tighter gauge) but, yeah – it seems like a lot of work for something that would, probably, be easier to sew. My dad likes to talk about how his sister’s prom date wore a Nehru jacket. It was 1970 or 1971. Elizabeth Zimmerman (author of Knitting Without Tears and a goddess of the pins) used a collar not unlike a Nehru on some of her sweaters, and they didn’t look bad. 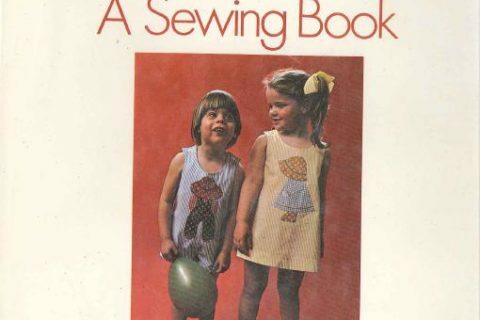 It’s the structured nature of the body and sleeves that would be difficult in yarn. That being said, I can imagine knitting one… but not crocheting one, unless one did it in single crochet only and that would be SO tedious.